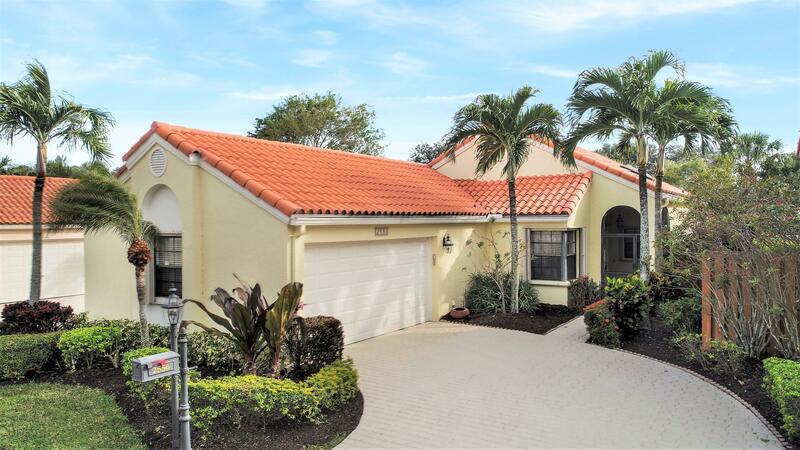 UPDATED 3/2/2 - 1 STORY Single Family POOL HOME in Palm Beach Gardens BEST Kept Secret - CRYSTAL POINT- A GATED Community just minutes to the Ocean. The Home features a NEWER ROOF, NEWER AIR CONDITIONER, NEW HOT WATER HEATER, UPGRADED KITCHEN with GRANITE Countertops & GE Profile SS Appliances, HURRICANE ACCORDION SHUTTERS, HURRICANE GARAGE DOOR, a Private FENCED BACKYARD with an INGROUND POOL & SCREENED ENCLOSURE. Volume Ceilings, Walk in Closets, Great Floor Plan, built ins-which can be removed, Freshly Painted & move in ready, plus a Great Northern exposure makes this possibly one of the BEST DEALS in town. HOA Fee includes Cable, Landscaping, Security System Monitoring, Gate Security & Common Grounds, NO Country Club Fees & Pets are allowed-No Aggressive breeds.